Myths would later say it had been an empty continent, but Europeans first decided to settle in North America because they knew there were inhabitants there. Europeans came expecting that indigenous people would provide food, labor for extracting the resources of the continent, and new souls for the Christian church. English adventurers chose the Chesapeake region partly because it was home of the powerful Powhatan people, from whom they expected to get food and possibly tribute in valuable goods. The English settlers of 1607 were mostly military men, prepared to explore, deal with the Indians, and seek out riches of the area. They were not prepared to grow food crops or fish the waterways themselves, so when they found survival difficult, they raided Powhatan villages for corn. Sir George Percy was among the original 100 Jamestown “planters.” The colony suffered from a lack of experienced farmers among the settlers. Many, like Percy, were gentlemen, prepared to fight or explore but not to plant crops. 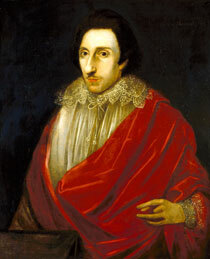 Percy led the colony during the “starving time” in the winter of 1609–10. For decades, French ships had traveled to the Gulf of St. Lawrence, where they fished the waters and traded for furs with Native people on the riverbanks. In 1608, French settlers established Québec to pursue the lucrative fur trade. They allied with Montagnais, Algonkin, and Huron peoples, who were leading traders from deep in the interior. The alliance brought the French great profits, but also a century of conflict with the Huron nations' enemies, the powerful Iroquois confederacy south of the Great Lakes. 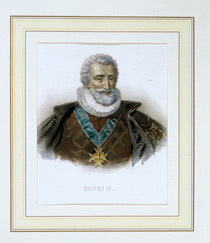 Henry IV of France awarded a fur trade monopoly to a succession of private companies, giving them authority and financial responsibility to found colonies and send settlers. Under his direction, François Gravé du Pont and Samuel de Champlain launched their first expedition up the St. Lawrence in 1603. This engraving is c. 1870. Soldiers and settlers from New Spain moved northward into New Mexico in hopes of finding rich mines and rich lands. Juan de Oñate, heir to a mining fortune, led an expedition of about 500 people, including craftsmen, farmers, servants, and their families, in 1598. Oñate expected the people he called Pueblos—actually independent groups with different languages and societies—to supply the labor for exploiting the resources of the region. Oñate found no silver or gold, but Franciscan missionaries found a reason for maintaining a settlement in the area: converting the Pueblos to Christianity. 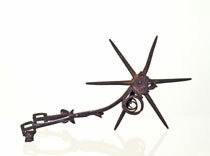 These sixteenth-century iron spurs were made in Spain or Mexico. Horses gave Spanish soldiers and settlers mobility that they denied by law to Pueblo peoples. Yet ranchers soon began employing Pueblo men on horseback to wrangle cattle. Apaches and other groups raided settlements to acquire horses.